Gecko may be small, but he has a giant-sized problem. Every night he is awakened by the fireflies outside his window. And when Gecko doesn't get his rest, he gets a little grumpy. So he goes to Elephant, the head of the village, to complain. His request that the fireflies stop working at night sets off a comical chain of problems for everyone in the village and complicates everyone’s life. 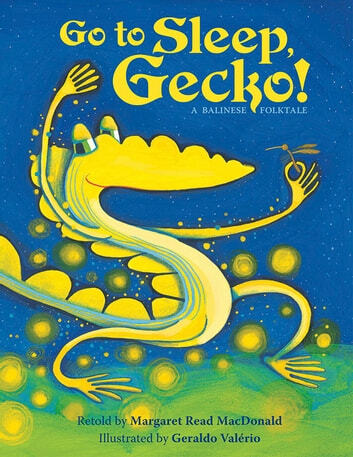 Through this cumulative tale from the Balinese tradition, Gecko learns that his well-being depends on that of the entire village and he finally goes to sleep, a little wiser.